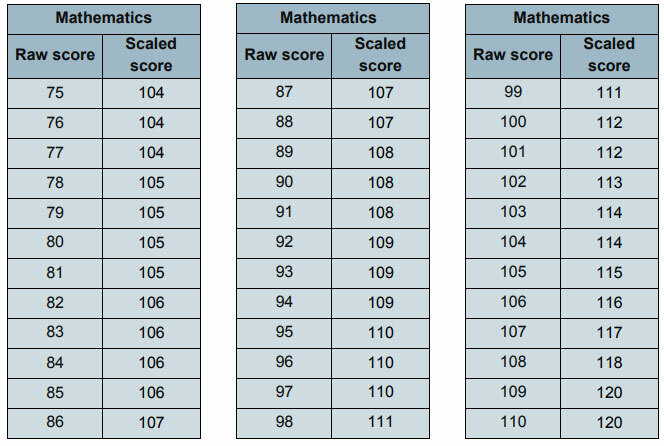 Note (added July 10 2018): Here are the 2018 scaled scores for key stage 2 SATs. The Department for Education has today released the marks pupils needed for the 2017 key stage 2 tests to achieve the government’s “expected” score. The pdf document can be viewed below or downloaded directly from the Department for Education. 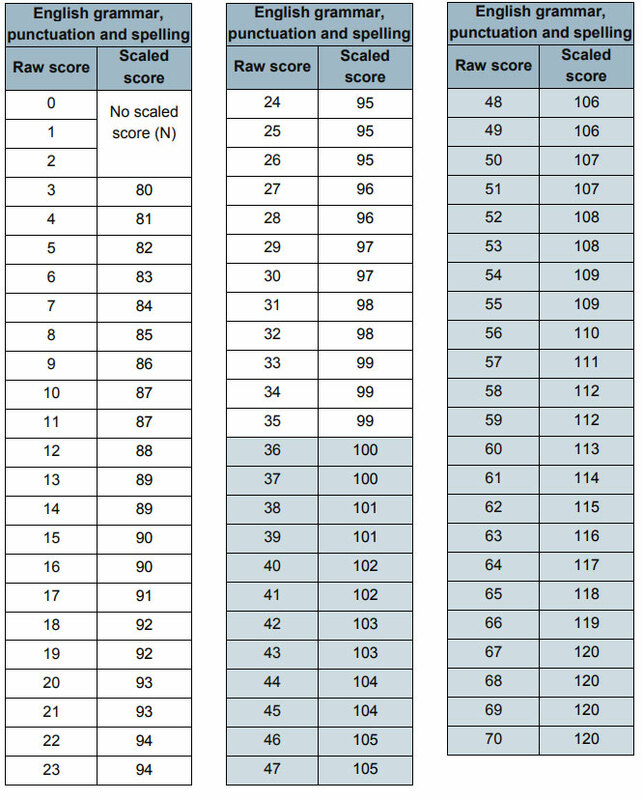 Converting a pupil’s raw score to a scaled score simply requires looking up the raw score on the tables below, and reading across to the appropriate scaled score. 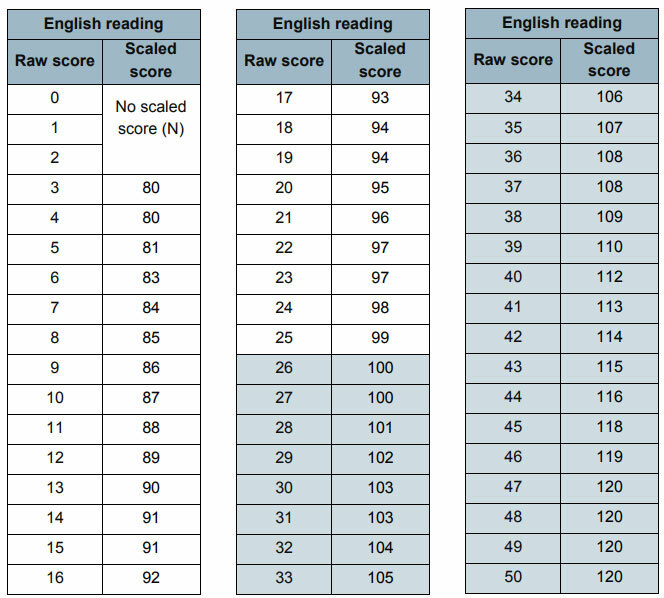 The scaled scores for key stage 1 tests were released last month. Full results for KS2 are expected later this morning. 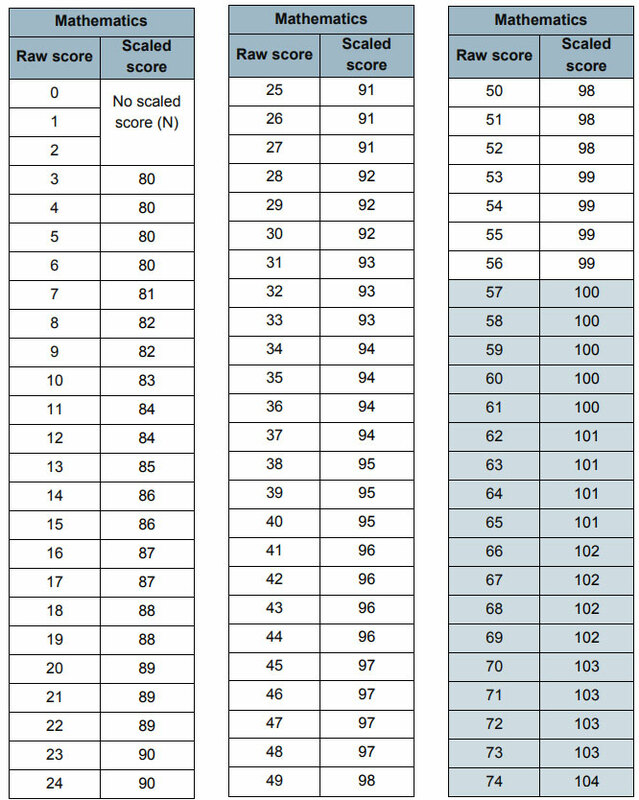 i think this way of scoring is absolutely ludicrous and just there to bamboozle parents into thinking there child is doing well when in reality they are not, for example in Math the child gets a scaled score of 97 (out of 120) when in reality converting it into the raw score they have only got between 45 and 48 inclusive correct out of 110 which is less than 50% in real term exam results. VERY POOR WAY OF MARKING UP. My son didn’t get an extra mark to make expected standard in maths , just because of a times question where he forgot a decimal point, I mean that’s just diabolical!!! Well if he grew up to be a doctor in future and forgot a decimal point and for example gave 25ml of potent medication instead of 2.5ml the results would be a million times diabolical.What do you say?